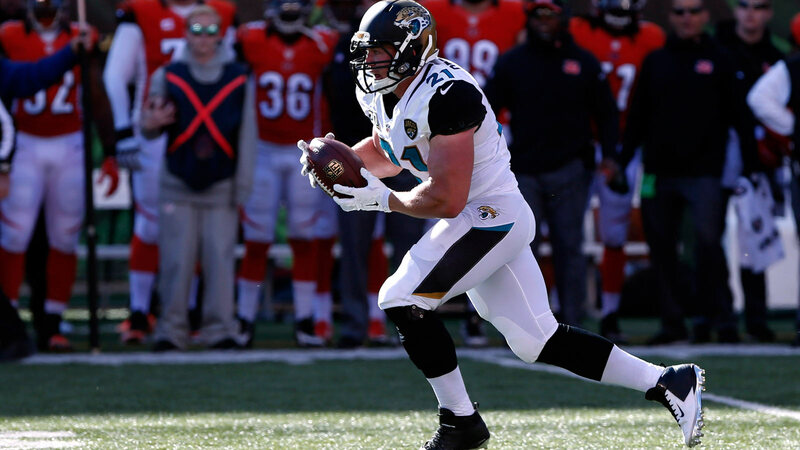 After missing the first two games of the season with an abdominal strain, Jacksonville Jaguars running back Toby Gerhart was a limited participant in the team's practice on Wednesday. Per the team's official website, head coach Gus Bradley said Gerhart looked good in practice, but the six year veteran is considered day to day and his status for Sunday's game against the New England Patriots is up in the air. “We’ve yet to really turn it loose with him,” Bradley said. If Gerhart is unable to play against the Patriots, the Jaguars will be down to three healthy running backs in starter T.J. Yeldon and backups Bernard Pierce and Corey Grant. Fellow running back Denard Robinson is out after suffering a knee injury in last week's win over the Miami Dolphins. “It just gives us a completely different style of back with him in there,” Bradley said, per the Times-Union.